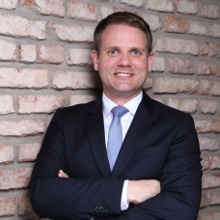 Volker A. Pfirsching is a Partner at Arthur D. Little based in Munich. He is a member of our global Technology and Innovation Management Practice and heads the Digital Competence Center. As a thought leader in Digital Disruption, Volker is engaged in many large-scale transformation projects, touching business and technology alike. He is organizer and facilitator of Arthur D. Little digital roundtables, bringing together top executives to exchange In digital challenges. After his studies, Volker joined the company in 2002 and has been a Partner since 2012. He has led a large number of client projects in Europe and abroad, including many assignments in his industry focus (Travel & Transportation, Telecommunications and Automotive). He also has experience in other industries including Financial Services, Consumer Goods and Healthcare.